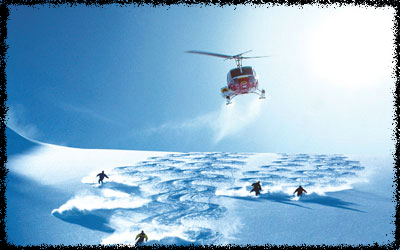 Heli-skiing is a dream of ski enthusiasts everywhere. In Switzerland, there are numerous heli skiing possibilities, often just around the corner. The flight lasts only a few minutes from take-off to the peak, all whilst surrounded by an extraordinary landscape, including the descent ahead. These are unique and unforgettable moments. As an individual, family or group: everyone will be enthralled by this incredible adventure, which is often offered as a gift to a friend.